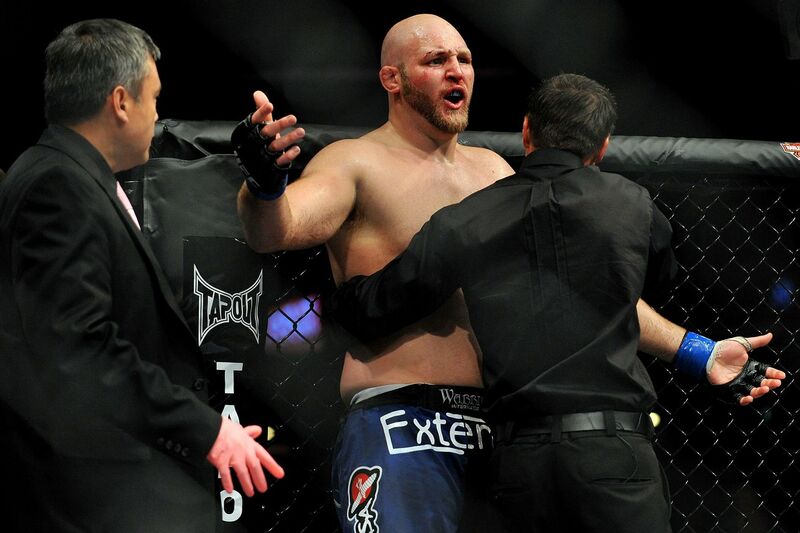 Home MMA News Monday Morning Hangover: What’s next for Ben Rothwell following loss to Junior dos Santos? Another weekend of fisticuffs has come and gone, as UFC Fight Night 86 blew the roof off Zagreb Arena in Zagreb, Croatia, yesterday (Sun., April 10, 2016) on FOX Sports 1. For complete coverage of the entire UFC Fight Night 86 card click here. Plenty of fighters were left licking their wounds, including Gabriel Gonzaga, who was beat down by Derrick Lewis in the very first round (see it again here). And Cyril Asker, who was on the receiving end of a first-round knockout from Jared Cannonier (video replay here). But which fighter is suffering from the worst post-fight hangover, now two days removed from the show? The heavy-handed heavyweight landed in Croatia hoping to pick up his fifth win in a row and inch himself closer to his much-desired shot at the division strap. Unfortunately for “Big Ben,” he ran into a very determined Junior dos Santos, who was looking to capture his first victory after getting knocked out by Alistair Overeem a few months ago. From the get-go, both men came out swinging heavy leather, hoping to land an early home run punch to put the fight to bed early. Despite being the aggressor for the majority of the bout, Rothwell couldn’t seem to get going; especially since “JDS” implemented a stick-and-move strategy thanks to his accurate striking and clever footwork. Despite his best efforts (see them again here) — especially in the closing moments of the five-round fight — “Big Ben” couldn’t find his mark, while “Cigano” was finding his early and often. In the end, the judges awarded the Brazilian a unanimous decision victory, giving him a much-needed win while snapping Rothwell’s four-fight win streak. So, where does “Big” Ben go from here?